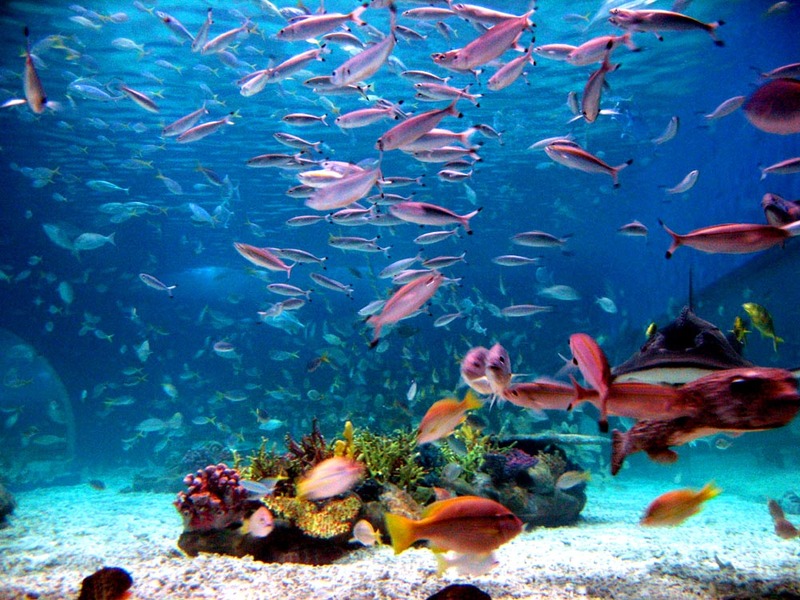 Claim 9: The oceans are becoming more acidic due to the increased CO2 and erosion of carbonate rocks by acidified rain, so that corals and other animals are being harmed or killed. Truth: This is partially true, but not to the extent that is claimed. The oceans are naturally alkaline (non-acidic) and are buffered by minerals and by the activities of biological systems. (See below for explanations of pH and buffering.) The normal pH of the oceans is in the range of 8.1. Like the manmade global warming hypothesis and the progressive nitrogen limitation hypothesis, (see Claim 2b), the ocean acidification hypothesis is a model scenario based on theory, not real experimental data. The models in the IPCC reports project a maximum reduction in pH of 0.3 by 2100. They also claim that a reduction of pH will slow the growth rate of coral or worse. So, are the corals and shelled creatures in danger? Hardly. These models use a purely geochemical approach and do not take into account the effect of living systems on pH. For example, photosynthesis is known to increase pH. Increased algae growth rate from increased CO2 can offset any drop in pH. There is a temporary seasonal variation in pH from such processes that is greater than the projected pH changes from CO2. Real experiments by bubbled CO2 through ocean water don’t result in the same pH changes projected by the models. In these experiments, no net negative effect on coral growth is seen even with actual acidification by adding hydrochloric acid. As a matter of fact, in these experiments a slight reduction in pH may have been beneficial. As stated in Claim 2, item d, CO2 is less soluble in warmer water so temperature also affects pH. Warmer water means less CO2 is dissolved in it by giving off more CO2 to the atmosphere. A lower concentration of CO2 with warming should, if anything, raise the pH (less acid) not lower it (more acid). However, due to buffering, no net change in overall pH has been found other than temporary localized variations from other processes like photosynthesis and agricultural run-off. CO2 becomes carbonic acid (HCO3– and H2CO3) in water. H2O + CO2 = H2CO3, a very weak acid, some of which splits to form HCO3– ions and H+. The free H+ is what erodes carbonate (CO3=) rocks. For example, insoluble CaCO3 + H+ = Ca++ + HCO3– (both soluble). pH is a measure of the hydrogen ion (H+) concentration in a water solution. The more hydrogen ions there are the more acid the solution is. However, pH is the negative log of hydrogen ion concentration, so that the higher the concentration, the lower the pH number. For example, a pH of 5 is a hydrogen ion concentration of 10-5. A pH of 8 is a hydrogen ion concentration of 10-8. With less hydrogen ions, the hydroxyl ions from water make the solution “basic” or alkaline. 10-5 = 0.00001 or 0.001 percent. 10-8 = 0.00000001 or 0.000001 percent. So pH 5 is 1000 times the hydrogen ion concentration of pH 8. Neutral water is pH 7 with equal amounts of hydrogen ions and hydroxyl ions. When water is buffered, it has at least two related molecules or ions in balance that resist changes in pH of the solution by changing their ionic state when acids or bases are added or when diluted. Any added hydrogen ions from a more acidic solution causes a change in the ratio of the two buffer species offsetting any tendency to change pH. Water exposed to the atmospheric carbon dioxide is never neutral pH 7. It is in the range of pH 5.4. Oceans are in the range of pH 8 so it is obvious that the oceans are “buffered” against changes in pH by rain that is naturally more acidic. Biological systems and a complex mixture of buffering molecules/ions contribute to the buffering of oceans and other bodies of water, so that pH remains relatively steady over long periods of time under various stresses from sources ranging from acid rain to volcanoes. Example: CO2 combines with water to form one of three forms of carbonate/-ic depending on the direction the pH is being pushed. These reactions can go back and forth between species as needed to maintain a constant pH. The CO2 to carbonate series is one of the most important buffer systems in the oceans and is supplemented by carbonate in its various forms from erosion of rock. This example is simplified for clarity by leaving out other ions that affect pH such as Calcium, Magnesium, sodium, chlorine and sulfite (Ca++, Mg++, Na+, Cl–, SO3=). Chemicals produced by living organisms also affect buffering and overall pH. Next Article Dreaming of Carbon Free Living?